Teachers at The Sixth Form College, Solihull will be joined by representatives of several universities at Open Evening on Thursday 10 November, as prospective students and parents get the chance to find out about the opportunities on offer to them after they leave school. The College will be open from 5.00pm – 8.00pm on Thursday 10 November, with a last entry time of 7.30pm. All prospective students are asked to come accompanied by a parent or other adult. Representatives from Aston University, the University of Leicester and the University of Southampton are planning to attend to give students advice on what courses they should be taking with a particular career or university course in mind. Our own Careers staff will also be present to offer the best advice they can to prospective students too. Information about other services, including academic coaching, additional learning support, financial support and more, will also be available. Meanwhile, teachers and current students will be on hand to tell prospective students and parents about the courses on offer. 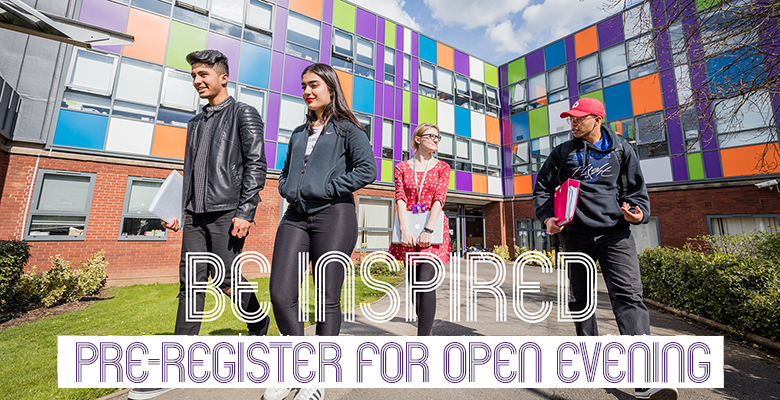 Pre-registration for Open Evening is now open and will close at 12.00pm on the day of the event.